The Philadelphia Baseball Review released its Division-I College Player of the Week awards on Monday for the period ending March 24. 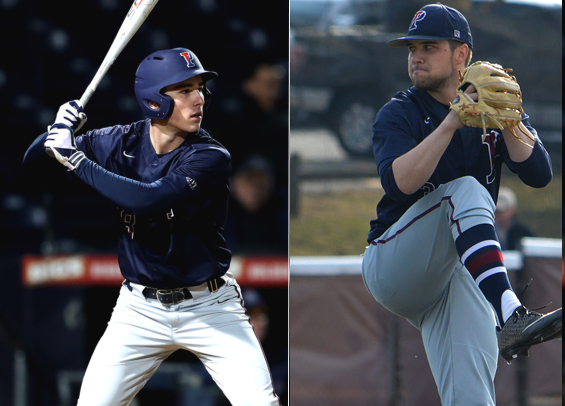 Penn freshman second baseman Craig Larson was named the Philadelphia Baseball Review's Hitter of the Week, while teammate and fellow freshman Joe Miller has been named the Philadelphia Baseball Review's Pitcher of the Week. Larsen hit .555 for the week (10-for-18) with four doubles and four runs scored. He also drove in seven runs for the Quakers. He's hitting .397 on the season for Penn with four homers and 26 RBIs. As for Miller, the left-hander tossed six scoreless innings in a Penn win over Lehigh. He struck out five and surrendered four hits. The Hatboro native is 2-1 on the year with a 3.60 ERA.